What are you doing tomorrow night? Going to Madison Square Market? Good answer. I unintentionally dropped in on the Market and, wow, there’s a lot of jewelry. Better than necklaces, however, is the Food Square situated just across Fifth Avenue. Pastrami sandwiches, chorizo tacos, hand-crafted pretzels, wood-fire pizza, and more delight the senses and stimulate the mind: Which one should I choose? Decisions. What did I try? A chicken biscuit from Pies ‘n Thighs. Though tempted by the chicken pot pie, I wanted a treat to walk with. 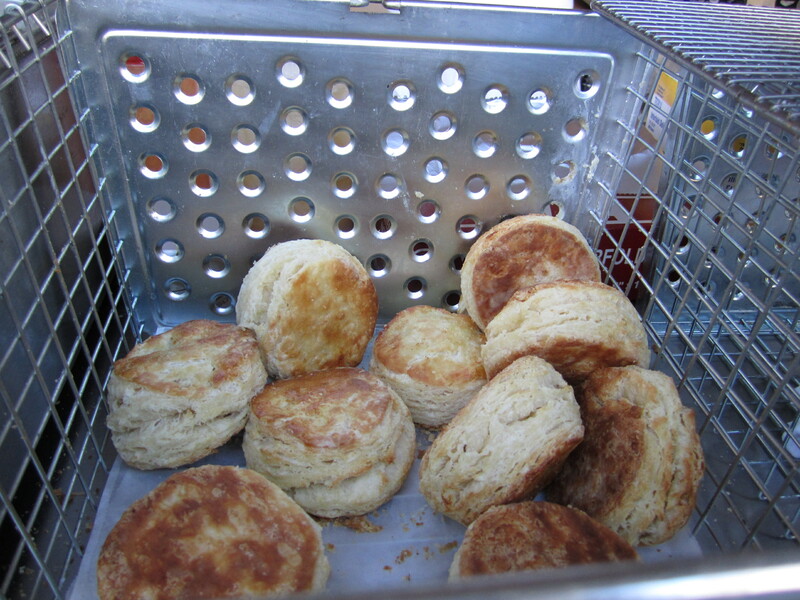 Plus, did I mention it’s on one of these biscuits? The cook threw a pounded, lightly battered chicken cutlet into the deep fryer. I wondered which biscuit she’d select for us. She plucked a thick one from the biscuit bin and slathered butter (I think?) on its soft inner halves. When the chicken finished frying, she extracted it from its oil, sprinkled some salt (?) on its topside, and placed it onto the biscuit. There she spread hot sauce across the chicken’s top, and finally closed the sandwich with the remaining half. An edible work of art, indeed. 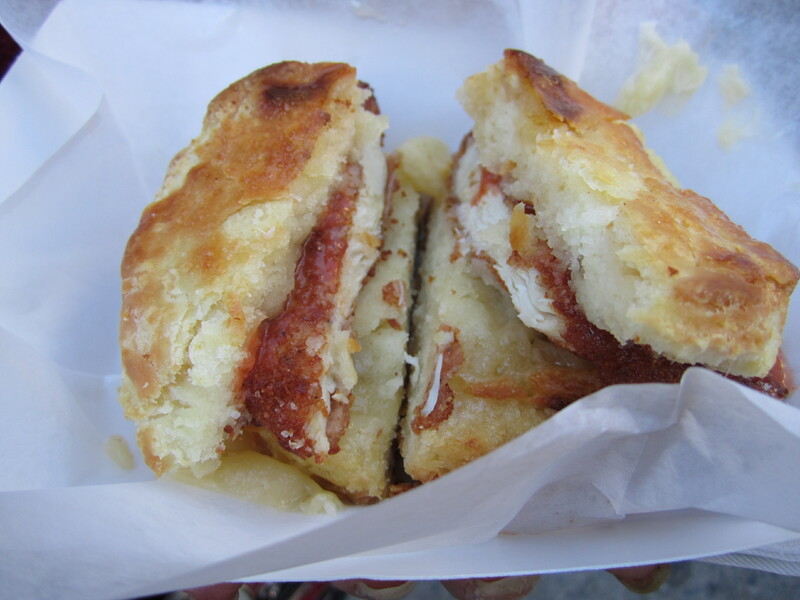 I savored each bite of the buttery, spicy chicken biscuit as though they were my last moments on Earth. Don’t judge–you’d do the same. A trip to Pies ‘n Thighs is imminent. What should I order?